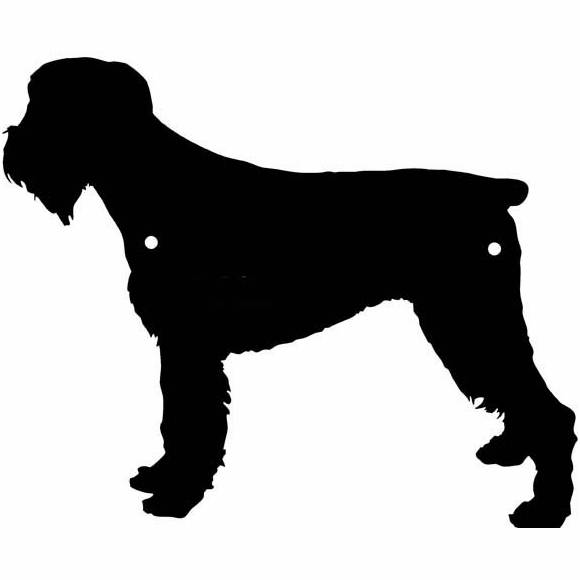 Dog Silhouette Plaque - - dog shape blank panel. Twenty-six breeds including terriers, labs, french poodles, and dachshunds. Custom made just for you. Made in the USA. Ready to hang on a wall just for fun or to conceal unsightly blemishes. Can also be attached to our optional 24" lawn stake (shown in Related Products). Made from sturdy and UV-stabilized acrylic. Note: style number shown in the samples is not printed on your dog. Dimensions (approximate): 9" to 11" wide and from 6" to 11" high depending on the breed. 1/8" thickness. Available in all 11 colors shown in the color chart: black, burgundy, ivory, white, grey, charcoal, red, yellow, green, blue, and brown. Click top link in Related Products for more information about our 24" Lawn Stake.